And for a lot more than expected. Last November, we learned . Obviously, the Pope has little need for a V10-powered supercar and given his devotion to charity, it came as no surprise to hear earlier this month he had . That auction, RM Sotheby's event in Monte Carlo, has now taken place and yes, someone bought the Huracan. The final gavel came down to a price of 715,000 euros – exceeding the estimated range of 250,000 – 350,000 euros. All proceeds will be donated to the Pope himself who will allocate them to a number of worthy projects, including the reconstruction of the Nineveh Plain under the patronage of the Pontifical Foundation “Aiuto alla Chiesa che Soffre” (Aid to the Church in Need). The goal is to help the Christian community return to the Nineveh Plain in Iraq by rebuilding their homes and all other vital infrastructure. Another charity is the Pope John XXIII Community, which is dedicated to helping women who are victims of trafficking and other abuses. Lastly, a portion of those proceeds will go to two organizations that help women and children in need in the continent of Africa. 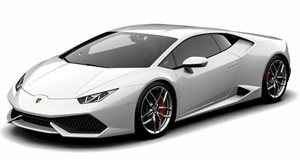 As for the Huracan RWD itself, it was built by Lamborghini’s customization department, called Ad Personam. Some of its unique features include an exterior paint job replicating the colors of the Vatican City flag. Power, of course, is that naturally aspirated 5.2-liter V10.